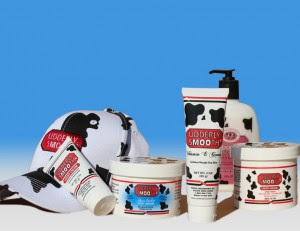 "Made in the USA for over thirty years, Udderly Smooth products contain rich moisturizing ingredients. Not your average moisturizing lotion- Udderly Smooth® can be used on Dry Skin, Cracked Skin, forDiabetes Foot Care, as a Facial Moisturizer, as a General Moisturizing Lotion and many other uses. Pioneered by a Pharmacist, reasonably priced and made in America’s heartland. 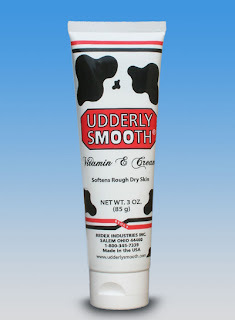 Use Udderly Smooth® daily for smooth, soft skin head to toe." Have you noticed a trend in my blog posts lately? I've been focusing on drugstore brand lotions that are affordable and keep your skin soft and smooth. With Summer around the corner, my skin has been extremely dry. My face has been flaky and it's been making my daily makeup regimen difficult to say the least. Udderly Smooth was originally developed for use on dairy cows, something I didn't know until I started researching. It is meant for dry cracked skin. It is a multi purpose lotion, meant for all parts of the body. It is fragrance free. Shea Butter Foot Cream: Great for cracked, dry or rough feet. It comes in an 8 ounce jar (seen below) and won an award in Woman's Day for best product in 2005. Shea Butter is the key ingredient to any good moisturizer, especially when it comes to your feet and hands. I'm always checking the ingredient list to see if Shea Butter made the cut. This is probably my favorite product from Udderly Smooth. I love a good foot cream. Udder Cream: Greaseless, stainless and water based, this can be used on any part of the body for dryness and chapped skin. Having eczema, Udderly Smooth is a miracle, and can even be used safely on the face without irritation or redness. I tend to get rough patches on my arms and hands, so I keep Udder Cream on my work desk so I can slather it on my palms during the day. Typing all day can hurt my hands and cause them to sometimes blister, so Udder Cream works well to keep my fingers moisturized. Vitamin E Cream Similar to the Original Udder Cream, this is another thick but non greasy formula that I've been using on my legs and arms. It is also formulated with Shea Butter and I can tell you all it works wonders on a bad sunburn. This, along with the original "Udder Cream" are both an all purpose moisturizer, which is always good to have on hand in your home no matter what. The Giveaway: One winner will win a bottle of Udderly Smooth Vitamin E Cream!